Purim has always been one of my favorite holidays. 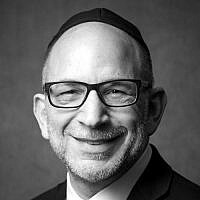 As a child…yes that was many years ago…the magical atmosphere of the carnival at our synagogue and sometimes at the Jewish Federation here in a small Midwestern city in Iowa, I was captivated by the reading of the Megillah and the exquisite sampling of the food. As I grew older, and drawn as I was to history, I learned that all history, not just Jewish, is not really about names, dates, and places, but, rather, about causes and motivations! It was then that I found many inconsistencies in how mankind records its past. This applied to all history and the story of our people was no exception. The tale of Esther is such a beautiful account, but I wanted to know what life was like for the Jews in the ancient Persian Empire. As an older adult, and historian, I narrowed it down to only the documentation available and how it compared to our story in the Megillah. Lo and behold, I found some glaring inconsistencies. Here is what I discovered. Looking at this period of time, the history of Western Civilization seems to be based on Greco/Roman views and not much on the mid-east flow of time. Much of what we all learned in school about these two schools of thought is wrong. Even Hollywood portrays the Greeks as heroes and the Persians as barbarians. It appears the opposite was true. Greece was not a nation but a collection of city states that practiced brutal slavery, infanticide, and aggressive genocide. Persia, on the other hand, had abolished slavery (for the most part), and included their provincial peoples as full citizens. This was due in part to the Laws of Cyrus (Kurus) in 580 BCE. The Jewish People revere Cyrus as ‘Moshiach’ after being freed from Babylonian captivity, mentioned 23 times in the Hebrew scripts. The dynasty of Cyrus (Achaemenid), was the world’s first great super power. It allowed the assimilated nations, Assyrians, Babylonians, Hittite, Medes, Lydians, Pashtun and Afghans , to retain their cultures, priests, kings, and leadership. Especially the Jews! We were making the transition to prayer, the advent of synagogues, and the rebuilding of the second temple, all under the protection of the Persian kings. Was this the first instances of universal human rights? Well, yes and no. Due to the geo-political location of Persia within this enormous empire, it was an unintended consequence of a ‘hearts and minds’ type of administration. This prevented uprisings, usually, and gave the various cultures a great deal of freedom. So what were the Jews doing in this era? 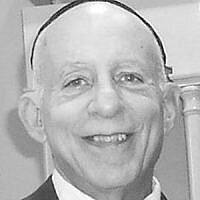 Compiling and canonizing the books of the Torah and the Babylonian Talmud. How wonderful was this set-up. The only obligation the Jews had was to acknowledge the ‘king of kings’ of Persia as their political authority, and serve in the military during ‘times of war’ (i.e. the war with Athens, 490 BCE and 480 BCE). So who was Achashveros (Ahahseurus)? There is no mention of this king in the Persian records. Well, actually, there is. Look at the spelling and the pronunciation. This is Babylonian and Aramaic for Artechshasta (ancient Perisan) for Artexerxes I (Greek). Third son of Xerxes the Great…circa 465-424 BCE. This is still controversial among historians who like Xerxes I as Esther’s king. But this makes more sense. This is further documented by certain events that point to Artexerxes. A raving alcoholic who lavished his court with endless parties, a relative period of global peace (no major wars), and the only king to have known beauty contests to pick his wives. He was also the only Persian king to have, not one, but three attempted coups on his throne during his reign. One attempted coup in particular stands out. An attempt by an Assyrian court official to seize the throne by having a drunken king issue a decree of genocide against a single ethnic group in clear violation of Cyrus’ laws. He could then claim the throne for himself. Sound familiar? If this was indeed Haman of our story of Esther, the bad guy here was not a Persian, but an Assyrian, and an Alawite to boot. Modern day apples don’t fall too far from the tribal tree, Bashir Assad of modern Syria comes to mind. And what of Vashti? All records point to her as truly the queen of Xerxes, his father. So that would have made her ‘the Queen Mother’ like modern day Britain, but presumed young enough to marry Artexerxes. She could have lost favor with the court as recounted in the Megillah, and hence the call for a beauty contest. The Jews insulted Haman and his ego, not the Persian empire. This gave him the excuse to manipulate the drunken king to violate the law and lose the crown. That may have been the true motivation. Let’s look at Cyrus’ Laws. Translated from the Cyrus cylinder, found in his tomb in the 1920s by archeologists, and now on display in the British Museum, three things are clear. First, all provincial peoples and tribes are allowed their ethnic practices, religious trappings, and freedom to live without slavery, including the Jews. Second, the Persian treasury will assist the building and upkeep of all religious structures, be they sacrificial alters (found today with Persian inscription in Helmond Province by Allied forces in Afghanistan for Pashtun tribes), the Temple of Marduk in Babylon, and especially the rebuilding of the Second Temple in Jerusalem for the Jews. Third, no nation or tribe or king shall be allowed to commit war or genocide on existing tribes or nations within the empire as they consist of ‘free citizens’ and a source of military manpower for mobilization during existential threats. Any violation of these laws will result in an ancient version of the 25th amendment…removal of the king and possible execution. This was the quandary that Ahaseurus found himself. The plot was uncovered and Haman was executed. Game over…well not quite. The edict of eradication of the Jews remained, since another of Cyrus’s laws forbade the rescinding of any edict from the ‘King of Kings’. It was Esther, whom we assume, found a loop-hole in the law that allowed the Jews their weapons, only allowed during ‘time of war’. It is fair to assume that Jewish men were subjected to the ‘draft’ as other ethnic groups. In other words, Jews most assuredly served with Xerxes The Great in Greece, and were all military veterans, not unskilled fighters going up against the Persian soldiers assigned to slaughter them. It must have been agonizing for the Jewish men to fight their ‘brothers in arms’ with whom they had served in Persia’s wars, but necessary for survival. Now, the numbers. Oy! The Megillah is such a beautiful story, but the figures fall victim to biblical exaggeration. It is said that 70,000 Persians were killed. Per historical records, the standing Persian army amounted to 45,000 Immortals (frontline troops) and 5,000 Mede reserves among others. Not a sufficient number to account for the figures in the book of Esther. Besides, that would be basically a peacetime figure without mobilization, and require moving forces away from borders and provincial policing duties. Just not possible. The truth is more likely the forces used against the Jews were local garrisons and palace guard units, far fewer than indicated in the scrolls. Now that I have bored everyone with historical accuracy and speculation, I was pleased to have been asked to do a short film for children. 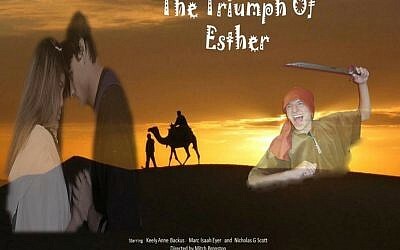 Two years ago I produced and directed a Hollywood type account of what happened AFTER the death of Haman, and how Esther convinced the King to find the compromise that would save the Jews. Since this is a wonderful story for everyone, and my synagogue did not have the required number or age of kids to do this, I was offered a chance to film this with kids at a sister church here in town. I have included a video below. It includes both the official trailer and the full film back to back. Please take the 20 minutes to view these for a happy Purim holiday change of pace. Remember, this is a film made BY KIDS FOR KIDS. So cut them some slack. Chag Sameach everyone. 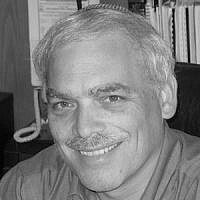 Mitch is currently retired and an adjunct instructor at Western Iowa Technical Community College Sioux City Iowa USA.